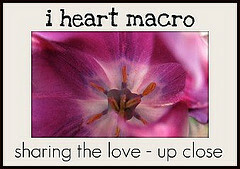 Somehow I didn't take ANY macro shots this week, so I was running around like a fool this morning looking for subjects. 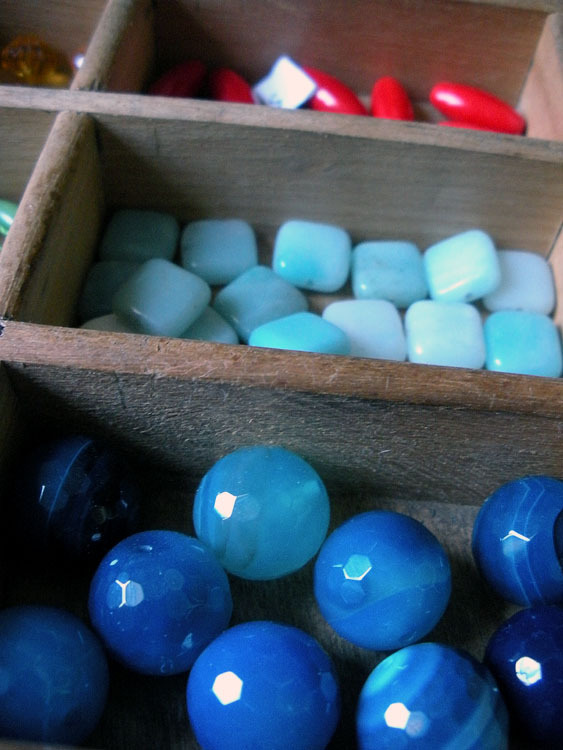 First is a some of the beads in the printer's drawer that I had everyone drooling over on Wednesday. Secondly is the kitty that was closing watching my frantic picture snapping. As frantic as it was. . .those were the only pictures that weren't blurry. figures. That kitty eye is reminding me of Halloween!!! Eeeeeeeeek lol have an awesome day Hope! 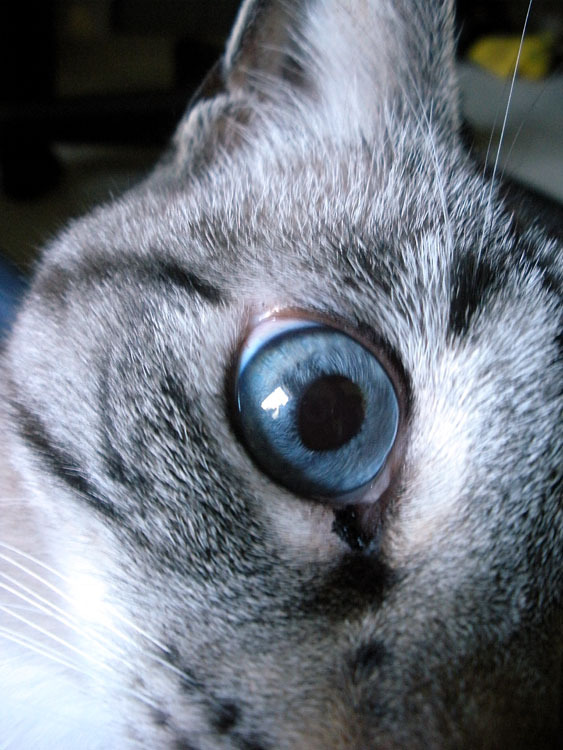 Cat's eyes are so beautiful and interesting to look at. I love the colors of the first photo! Hi Hope love the shot of your cat's eyeball, he or she has beautiful eyes. I love how the blue beads and the blue eye match! I laughed when I saw your Kitty eye! Actually it is such a gorgeous colour! Awwwww, kitties rock. Beautiful blue stones AND eyes! ShonEjai- Oh yes, I do love the kitties eyes. The other cat has those yellow/golden eyes. . .
As far as the colors in the first photo, I do love my blues! Shel- Thanks! Yes, her eyes are gorgeous. The picture doesn't do them justice. I love how kitty's eye looks similar to your large blue beads. Beautiful kitty and those beads - oh my! Lovely shots for such a rush job. Even the kitty's eye is blue! Very cool shot!